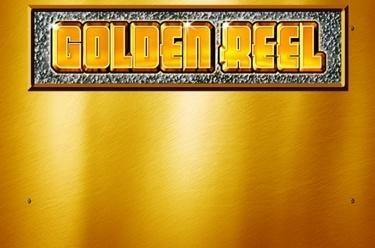 Play Golden Reel online for free now! Sometimes it's the simple things that are the best! Golden Reel is the game of choice for all retro lovers because it features a classic slot game idea: In addition to crunchy fruit and other lucky symbols such as the 7, the reels are stuffed with gold bars and jokers. 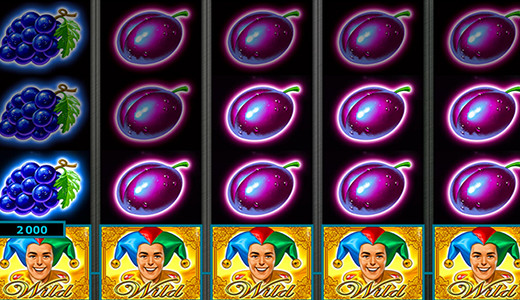 The highlight is a progressive jackpot, which is yours when you land 20 cheeky jesters at once! Your objective with Golden Reel is to line up 5 matching symbols along one of the 40 win lines that run from left to right. This slot is all about the joker: He acts as a Wild symbol and substitutes for all other symbols except Scatter in potential winning combos. Moreover, he pays the jackpot when he appears 20 times on the reels. The gold bar is the Scatter: It triggers 10 free games if it lands at least 3 times anywhere on the reels. The gold bar (Scatter) can appear in any position on the reels and triggers 10 free games when you land at least 3 to 5 of them. The stake and win lines from the basic game are used. During free games the third reel is filled exclusively with joker symbols: That way your winning chances increase! 3 to 5 Scatter grant you more free games. The more joker symbols the better: When 20 jokers appear on the reels the jackpot is yours! If you played with the maximum possible stake, you’ll get 100% of the jackpot. If you played with lower stakes, your share of the jackpot will be calculated accordingly. The jackpot amount is displayed in the top right corner of the playing field. Everything glitters in this slot!